…Mr. Durham and his team reviewed the treatment of 101 such detainee cases. In so doing, he drew upon information provided by the CIA inspector general and report from the International Committee of the Red Cross regarding the treatment of high-value detainees formerly in CIA custody, the Department of Justice’s report on legal guidance related to enhanced interrogation techniques and other sources. After reviewing a substantial volume of information, Mr. Durham recommended the opening of two full criminal investigations and Attorney General Eric Holder accepted that recommendation. However, there were no specific incidents, which Durham may have examined, mentioned by Bitkower. The easy explanation these officials should have offered is that Durham let the Statutes of Limitation on torture expire on the torture and wrongful death cases he investigated. The people Durham would have investigated would all have had much better access to those documents (though Passaro had a briefcase of documents that were seized from him). As soon as you got to the Jonathan Fredmans and the Stephen Kappes, you’d have people with good claims to have been ordered personally to implement a torture program. That’s why the panel yesterday all gave such consistently awkward answers. They’re still trying to hide that this came right from the President. https://www.emptywheel.net/wp-content/uploads/2016/07/Logo-Web.png 0 0 emptywheel https://www.emptywheel.net/wp-content/uploads/2016/07/Logo-Web.png emptywheel2014-11-14 09:53:152014-11-14 09:53:15Unsaid at the UN: "Because the President Ordered It"
Oh hi! Are you folks still here? Missed you! First off, thanks to bmaz and Jim and Rayne for holding down the fort while Mr EW, McCaffrey the MilleniaLab, and I explored Kentucky. There are many wonderful aspects of the state: the sandstone arches, the ham, and I think we’re even finally beginning to get this Bourbon thing! I’ll be catching up for a few days, probably commenting on things that broke while I’m away. Such as this news, that John Brennan is showing his leadership at CIA by having three former CIA people weigh in on whether he should retain the woman who destroyed the torture tapes as the head of the clandestine service (she’s the acting head now, Brennan is considering making her appointment permanent; Mark Mazzetti has more details on her career here). To help navigate the sensitive decision on the clandestine service chief, Brennan has taken the unusual step of assembling a group of three former CIA officials to evaluate the candidates. Brennan announced the move in a previously undisclosed notice sent to CIA employees last week, officials said. “Given the importance of the position of the director of the National Clandestine Service, Director Brennan has asked a few highly respected former senior agency officers to review the candidates he’s considering for the job,” said Preston Golson, a CIA spokesman. The group’s members were identified as former senior officials John McLaughlin, Stephen Kappes and Mary Margaret Graham. 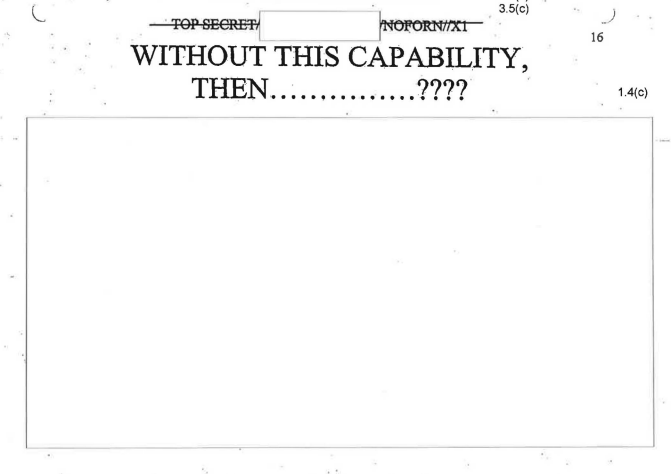 Note that at least two of these three were deeply implicated in the torture program, with McLaughlin involved in decisions and briefing of the program itself (and also vouching for Brennan’s claimed opposition to torture back when it mattered, solely because he’s “honest”), and Kappes involved in covering up the Salt Pit killing of Gul Rahman, among other things. So they’re not exactly neutral on the contributions of people who cover up the CIA’s torture program. While the selection of these three is being spun as expertise (I suspect they were also selected because Dianne Feinstein respects them, though that’s a guess), it should be clear that they are not neutral on torture. But I’m just as amused at how this process — Brennan’s fairly transparent attempt to outsource the morally repugnant decision to promote someone involved in torture and its cover-up — undermines all the carefully cultivated claims about Brennan’s role as the priest serving as a moral compass for others, at least on the drone program. Back when Brennan’s boosters were promising he’d be a controlling figure at CIA, they suggested he’d make these decisions based on a priest-like moral compass. Yet, just weeks into the job, he has instead asked those who benefitted from this woman’s cover-up to bless her promotion, thereby dodging the responsibility himself. I warned that this moral rectitude thing was just a myth when Brennan was nominated. It sure didn’t take long to be proven right. The WaPo has an article out that’s causing quite a stir. It bemoans the fact that the CIA has lost much of its top managers since 9/11. More than 90 of the agency’s upper-level managers have left for the private sector in the past 10 years, according to data compiled by The Washington Post. In addition to three directors, the CIA has lost four of its deputy directors for operations, three directors of its counterterrorism center and all five of the division chiefs who were in place the day of the Sept. 11 attacks and responsible for monitoring terrorism and instability across the world. Let’s name some of the people they’re talking about, shall we? Several of these people were instrumental in trumping up propaganda to justify a war of choice. Several others implemented a system of rendition and torture. One of them helped the Vice President set up an illegal domestic wiretap program. The least compromised, legally (Grenier), probably was less than forthcoming under oath in the CIA Leak Case. Really?!?! We’re bemoaning the fact that this parade of criminally and morally compromised people are no longer in a position of top leadership (though a number of them are still on the federal gravy train as contractors)? There’s also little consideration of why and where Black went when they left: the urge to have mercenaries as a way to evade legal limits drove some of this exodus as much as money. Two (digital) pages later, the WaPo finally gets around to the real problem with the exodus of more junior level officers: the loss of functional expertise. In 2009, after a double-agent blew himself up at a CIA base in Afghanistan, killing seven of the agency’s officers, many former officials suggested that the tragedy might have been prevented had the CIA retained more senior personnel at the outpost. Some officials questioned why the agency had given one of the top assignments there to an officer who had never served in a war zone. 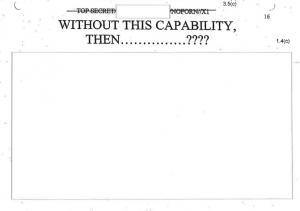 Other former officials raised concerns about how intelligence assets were being handled in the field. In other words, the problem with contracting is far more complex than the WaPo, in a fairly long article, was able to explain. And in the process, the WaPo never explained a lot of the nuances behind what it sold as its top line story: the departure of the top managers. I’m not saying the WaPo hasn’t done a lot of work on this story overall. But telling a story–particularly one as complex and important as this one–is more than collecting data points.